Stop what you are doing right now and please take a minute to read. This is important! It’s about saving a man’s life! Julian Assange has done so much to expose injustice and show the truth, you owe him this much! I am begging you to take five minutes out of your life and do something to save a fellow human being. He has never been charged with a crime! He is being tortured and kept from having a life in that embassy right now! 8 months in solitary confinement is not enough for Ecuador and the United States government. They want to destroy him. They don’t care about him being a human being like each of us are. If it were you, they would put you through the same hell he is going through right now. It is us, as individuals, who have to care and fight this travesty! They are slowly assassinating one of the world’s greatest journalists! He is a father of 4, a son, a brother, and a friend just like each of us. I am asking you to contact your leaders, your legislators, your MPs and anyone you can think of who might be able to help save Julian Assange from the clutches of those who seek to destroy him. If not for him or his dear mother, then for humanity and yourselves before it is too late! If they destroy him and we allow it, they will soon take away your rights as well. Soon, it will be anyone who speaks out against the injustices being done. Do you want that for yourself or for future generations? You see, if he is prosecuted or he dies, what will your excuse be to your children why you stood by and watched an innocent man be destroyed? Can you honestly watch this and walk away with no guilty conscience. This is about injustice and torture and persecution by a government who wants to silence the truth tellers. 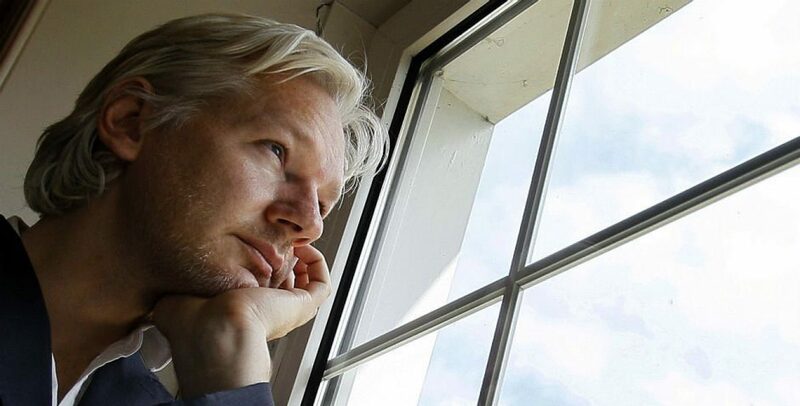 Regardless if you agree with Assange’s politics, principles or ways of doing things, what is being done to him is cruel and unusual punishment without trial. They are violating laws regarding political asylum and human rights worldwide by what they are doing. Please, hear me and do something! The following are a list of people you can contact via phone or snail mail. Please contact them. I know it’s not easy but just simply state you demand they drop charges and grand jury against Assange and Wikileaks. To the human rights organizations, simply explain that Julian Assange is being tortured. I DO NOT KNOW MUCH ABOUT JULIAN, WHERE HE IS, HOW THEY HAVE THE RIGHT TO DO ANYTHING AGAINST HIM. I DO KNOW HE SHOULD BE TREATED AS A HERO, A HERO THAT KEPT OUR COUNTRY FROM BEING DESTROYED BY TYRANTS! HIS SAFETY MUST BE A MAJOR PRIORITY ABOVE EVERYTHING! WE ARE PRAYING FOR YOU JULIAN! WE OWE OUR LIVES TO YOU! THANK YOU FOR BEING SO BRAVE! I HOPE TO MEET YOU SOMEDAY AND SHAKE YOUR HAND! THANK YOU FOR SAVING OUR PRECIOUS AMERICA!